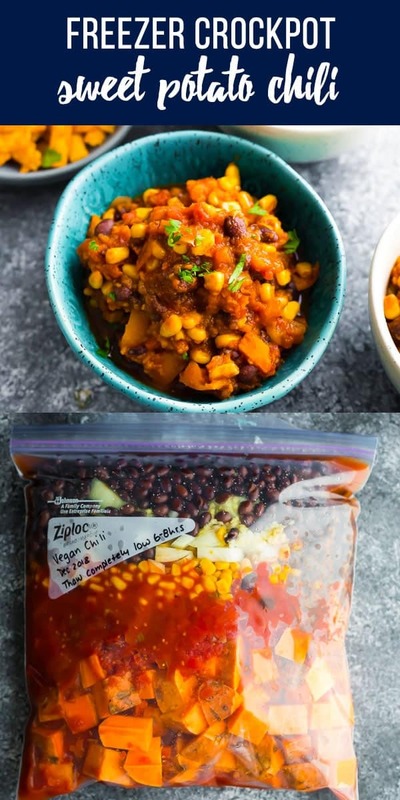 Vegan crockpot chili that can be assembled ahead and frozen for a crockpot freezer meal! 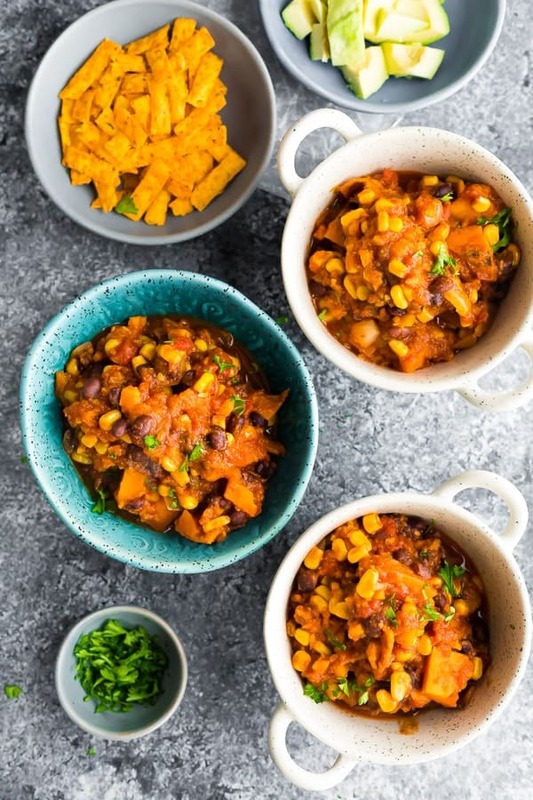 With sweet potatoes, corn, black beans and spices, this one seriously tasty chili recipe! One of my all-time favorite comfort foods is a big bowl of chili. I love that you can squeeze a whole bunch of veggies in there, and love even more that a good vegan chili can rival a meaty one. This vegan crockpot chili is my new favorite recipe! 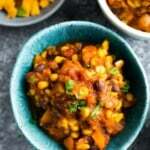 It has sweet potatoes, corn, kidney beans and a ton of spices that make it insanely delicious. BUT my favorite thing about this vegan chili recipe is the fact that you don’t need to sautee anything…just dump everything right into the crockpot and press ‘start’! it makes a seriously delicious freezer crockpot meal! 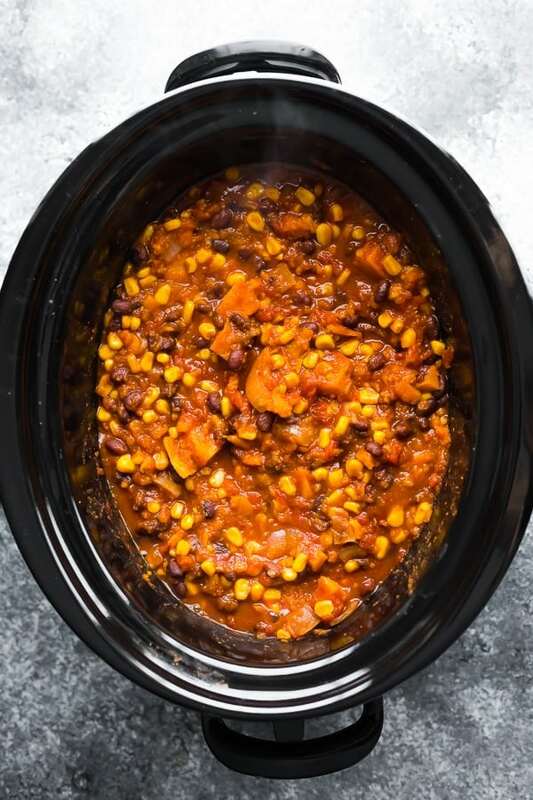 I just hate having to pre-cook things before cooking in the slow cooker, and am so happy that this vegan chili slow cooker recipe has plenty of flavor without the sautee step! Simply combine your ingredients right in the slow cooker, give it a good stir, and cook on low for 6-8 hours. After 6-8 hours, your sweet potatoes will be so tender they almost dissolve into the chili, thickening it and adding so much flavor. Serve with your favorite chili toppings: tortilla chips, avocado, cheese (or vegan cheese) and greek yogurt (or coconut yogurt). YUM!! So incredibly simple! When you’re ready to cook, you will need to thaw completely before placing everything in the slow cooker and cooking as directed. 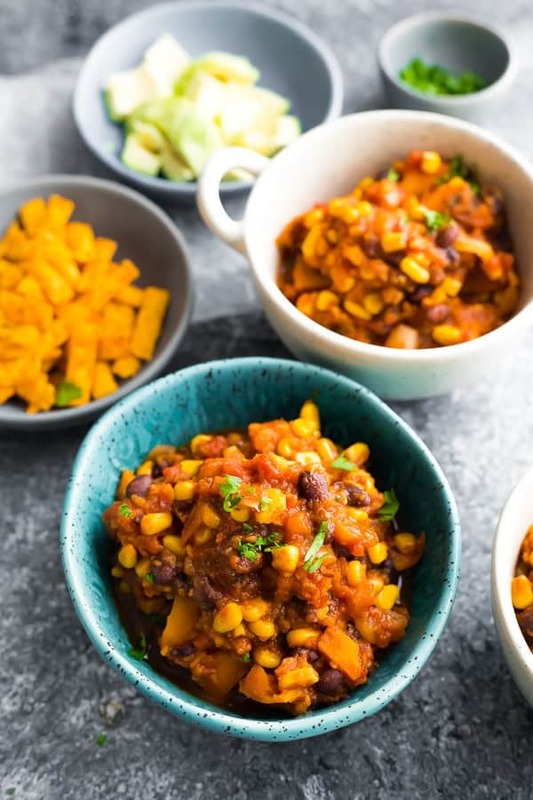 What can I serve with this vegan chili recipe ? I like to serve mine with tortilla strips, fresh avocado, cheese and/or yogurt. Can I swap the black beans? Sure! I have also used kidney beans in this vegan chili recipe and it turned out great. 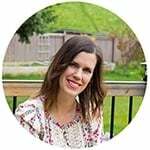 Can I cook this easy vegan chili recipe in the Instant Pot? I haven’t tested but I do worry that there is not enough thin liquid for the Instant Pot to come to pressure. If you try, I’d love to hear how it turns out for you! 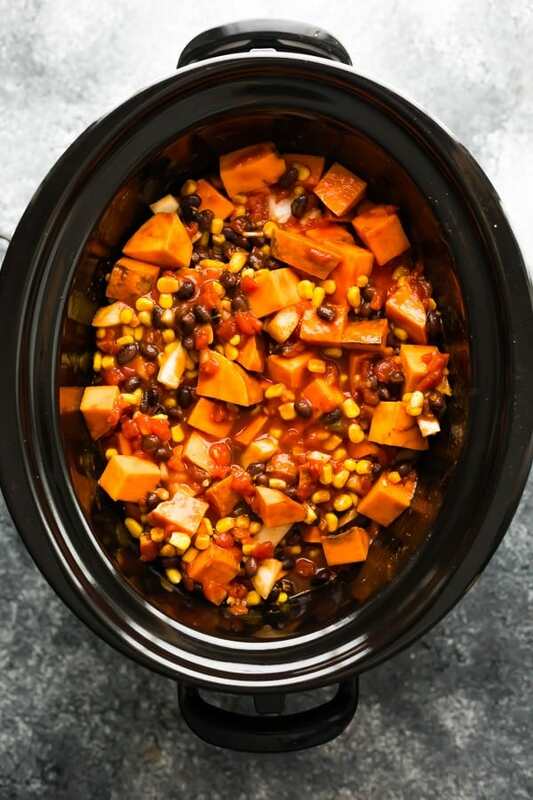 Combine all ingredients in the base of a 6 quart slow cooker. Serve with cheese (or vegan cheese), tortilla chips, yogurt (or coconut yogurt), and avocado. 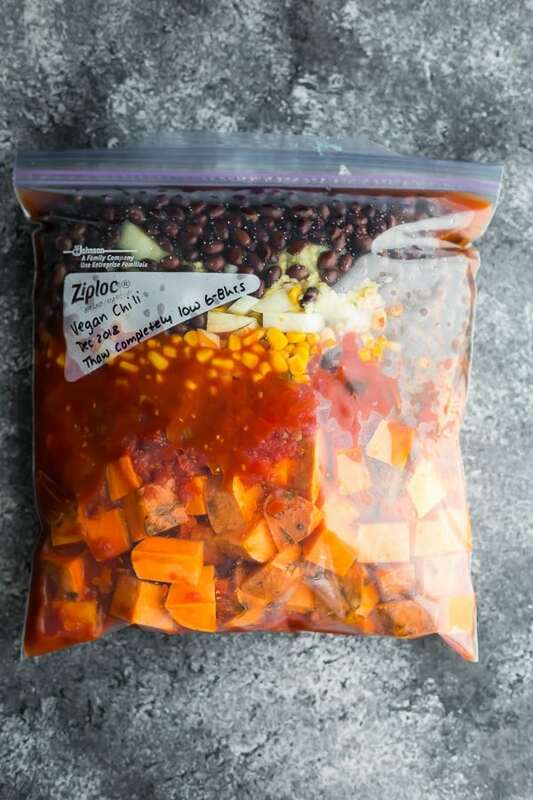 Combine all ingredients in a heavy duty gallon-sized freezer bag. Squeeze out as much air as possible. Freeze flat, then store upright in the freezer for up to 3 months. Thaw completely before cooking using directions above. Delicious!!! Super easy to prep and made my day so much easier to come home to a finished dinner (& lunch for the week). Even my 14 month old liked it 😊 thank you so much for sharing this!! !